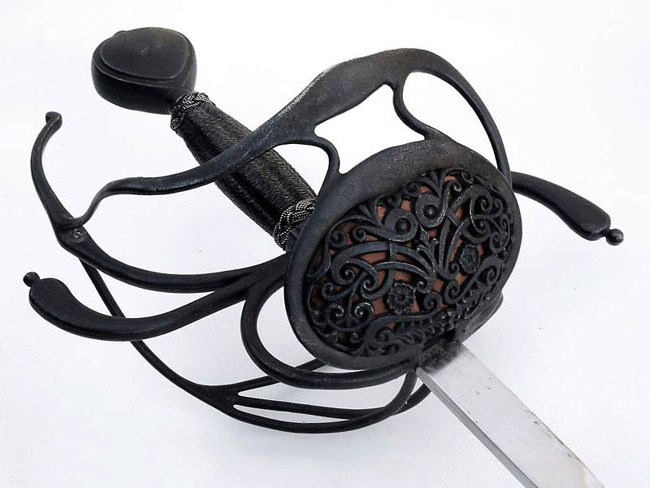 A beautiful papenheimer style swept hilt rapier, copied from an original owned by King Gustav II Adolf (1594-1632), better known as Gustavus Adolphus, monarch of Sweden from 1611-1632. In 1630, Sweden joined the Thirty Years' War to secure the Swedish state and church from danger. An excellent military tactician, Gustav led an army of unusual quality, and his position was strengthened by alliances with France, Brandenburg, and Saxony. At Lutzen in 1632, the Swedes defeated the Germans under Albrecht von Wallenstein, but King Gustav was fatally wounded in battle. 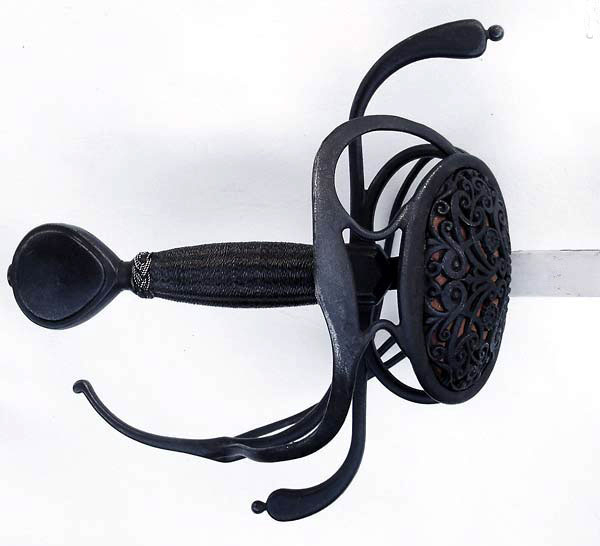 This rapier has a high-carbon steel flex-tempered blade, and an antiqued finish blackened stainless steel hilt. Leather scabbard included. Also available is a separate blunt/rebated rapier blade that fits in this hilt and gives you a full sharp-or-blunt training weapons system. A matching main gauche - antiqued is also available.